Other fauna basking on the rocks. The best field guide we had onboard was the Audubon Field Guide to the Pacific Northwest. It’s a good, general guide but doesn’t go into much detail about different species. 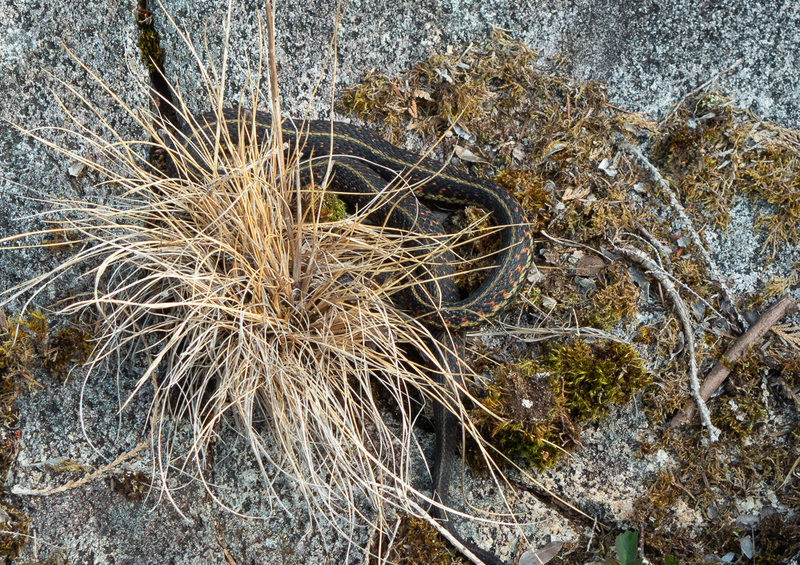 Best as we can tell, some kind of garter snake.